Have you ever wondered if financial freedom and happiness is possible with no special education and no technical experience? Well I’m here to tell you that you can hustle and grind your way to financial freedom at any age and with minimal or no skills involved! I want to share with you my story and explain how you can follow the same plan to Hustle and grind your way to financial freedom at any age! It’s not magic. It’s not a secret and you won’t get rich overnight! When you get started with the plan I’ll share with and you have the right mindset and patience, you can find yourself in a far better place in a shorter time than you may have imagined ! If you are starting from a place like I did, you are likely asking yourself how you can change your life for the better, financially and become happier! The truth be that it is sometimes hard to figure out as you have likely decided on your own! You are not alone! I started very much in the same place! I am thankful for my life and the freedom I’m building through Passive income and the hustle and grind! I am especially blessed to have recieved Free training to get started on my online business side ! So what does hustle and grind mean? Hustle and Grind means that you do what you have to! When you start a plan to hustle and grind, you put your head down and get it done by using more than one method to achieve your goals and improve your financial life and happiness! Almost every day I hear that magic cop out when speaking to someone about the hustle and grind, and that be that “I don’t have time”. Time is relative to how you spend it! If you want your financial freedom and are willing to do what needs to be done, you have to really want to do what has to be done while remaining true, honest and ethical! It doesn’t help to talk about it, yet never actually do what you need to do! The best advice I can give you be that to get somewhere you have never been, you have to do something you’ve never done! When I got started My time was booked up and I too didn’t have any time to accomplish the things I wanted to accomplish! Having a 40 to 60 hour work week as well as my other commitments, I won’t lie and tell you it was easy! But breaking your chains and seeking better opportunities’ is absolutely doable! It is even more doable if you want your freedom of time and financial freedom! But after some time and consideration I started making time. And the making a little more time. Then it got to the point where I decided that I could make it on 4 hours of sleep every other night and 6 hours on the nights in between . The ends justified the means and I knew I wanted to get my life back! That is exactly what I am doing! And I want to explain how you can do it too! Goals are the key to success! I know that this section sounds like a cliche! But it is the absolute truth! Goals are the main key to success in anything you do! The goals you have are your goals and goals that mean something to you! My goals were somewhat different from other people’s goals! That doesn’t make their goals good or bad. It just makes them different. My main goal started as a means to become free again, and be able to earn enough money to take care of my family and be able to do the things that we want to do without worrying about money! That main thing is travel. I’ve always enjoyed traveling and my goal had a really strong lean towards that. I didn’t have a dream that includes owning a Lamborghini or a million dollar mansion. Your goal may very well include those types of things, and that is fine! But the bigger the goals the more effort and time required to make them happen. My interests never included the shiny or lavish lifestyle! With the recipe that is to follow, you can achieve any dream, even the Lamborghini lifestyle! It will take even more work, but it is very doable! Everyone’s goals aren’t the same ! Perhaps the most important thing I can share with you right from the start be that goals are personal and very important to success! If you start digging yourself out of poverty as I did or simply want to leave the 9 to 5 rat race, and do so with no defined goals you are one step closer to failure! I’m sure that most people who read this will know what I’m talking about when I mention the “Lamborghini coaches”. I refer to these people as Lamborghini coaches because they tend to use expensive cars, homes, and lavish lifestyles to promote themselves and their training or coaching. The idea isn’t as much the Lamborghini as it is the connotation of the goals associated with what the coach is telling you! The Lamborghini is nothing but a way to get your attention. The problem with these people are that they want to teach you real state, online business, coaching, or any of the other avenues to wealth by projecting what they see as a “standardized goal” upon you. I’m sure that you have considered goals in the past. I did too. But in the world I grew up in, goals and survival were not exactly the same thing! It seemed that a very worthy goal was to be able to put food on the table and a roof over my family’s head. If I could make that goal and everyone was happy, that was all that mattered! The problem with a goal that simply allows you and your family to survive be that it doesn’t present the types of challenges that you need to continue to grow and get better, therefore bettering your circumstances ! A real and present goal that you take everywhere with you is perhaps the most important thing that you can take with you from this article ! My goals were relative to my means, at the beginning. But that had to change! The story of why my goals and outlook changed! When I started trying to dig my way out and grind my way forward, my first and most important goal was to have better results than that of my life up to that point! My goals were very modest to say the least when my adult life began! The reality of scraping by had been the role model of my goals and dreams to this point and that is where I set my goals! I was raised by a single mother after she and my dad divorced when I was 3 years old. My dad had a chemical and alchol dependency that ruled every aspect of his life and we were living in a world of relative poverty due to it! My mother made the decision to finally strike out on her own with 2 children after the 13th time she tried to make her marriage work! The world we would find ourselves in put my mother into a fight or flight type of panic, and luckily for me and my 7 year old sister she was a fighter! My mother had a 3rd grade eduation and not many opportunities’ to improve that or improve her value in the job market, so she did what she thought was the best option and work 2 and 3 jobs at a time to put food on the table. Times were hard when the three of us struck out on out on our own, and that’s putting it mildly! We would get a fresh start in a small, pink and very old sinle wide trailer home. The lavish appointments included a two burner hot plate to cook on and 2 of those big plastic flashlights for light, because there was no money to turn on the electricity yet. The fine dining was with three plastic plates and forks that we rewashed after every meal. Times were difficult, but hard work would be the key to escaping poverty and at least getting to a place where the electricity came on and stayed on….most of the time. These are the reasons that my initial goals were set so very low! My idea of making it was that my kids have more than 2 pairs of pants and a diet that consisted of hamburger helper and rice and beans! I had watched my mother work herself almost to death and never depend on public assistance, so in my mind any step forward was a goal worthy of setting! The problem with setting goals too small be that they don’t challenge you! If you get to that goal you become scared of losing it and never try to work beyond it! You’re goals should scare you a little! The problem with my new goals was that of waiting a long time to set them! Hustle and grind works at any age! I worked and worked and you geussed it, worked for the next 25 years after getting married. The bills were usually paid on time and groceries on the table, but it was at a high cost! I started working at age 15 and at the age of 28 had been doing the same maintenance job for quite a while. In order to make more money, I took a job with a company working out of town and did that for the next 10 years. Then 2009 came and the lay-offs started. After being laid off, I had a big issue getting a job and decided to start my own traveling maintenance business after finding the business card organizer where I put the cards of every customer I had worked for over the previous 10 years. I was now a business owner that worked for myself and was making more money than my goals could have ever even contemplated! The only problem be that I was utterly miserable ! I couldn’t stand it anymore! How can a guy in his 40s change the outcome of his life by starting something new? I was perplexed to say the least! After a while and with the help of research and common sense, I realized that it would be tough for anyone at any age. You simply have to have the correct mindset and a desire to make it work! We are taught that the way to become successful is to attend school and get good grades so that we can get the best job possible when we reach the end of our school journey. The better the job and pay is the bigger mortgage we can afford so we can have our marriage, 2.3 children and a lifetime of debt. Hopefully by the time our children are grown we will have a paid off mortgage on a home that we thought was an investment or asset, only to find that it is a liability! Then hopefully we have saved enough money to send our children to college so they too can repeat the process, and maybe have enough left over to live a meager life in our old age . The reason for this plan is simple! Children are not raised and taught to be entrepreneurs and business owners, they are raised by the system to be workers! And they have been imprinted with the BS that says if you try to break the mold you will be an abject failure! But the truth be that you can make your own life and live by your rules if you are willing to do it! What do I mean by hustle and grind? Hustle and grind can take many forms ! I recently heard Gary Vaynerchuck discussing some plans he has had to teach people the hustle and grind , and they are very much like what I have experienced ! Ways to hustle and grind are multiple and can take on a life of their own. But the goals you have will play a large part in how you hustle and grind! When you hustle and grind you are using means of making cash to carry you and finance the next level of your hustle. In other words you start on a smaller level and work your way forward to the next hustle that earns even larger rewards and money. When you get one or more hustle going, you can realize some remarkable growth and freedom in your finances very soon, and with little or no money! One such example of starting your hustle can be the example that Gary Vaynerchuck taught when talking about hustle. He started training people on making things happen with a hustle by using yard sales and garage sales to make money. 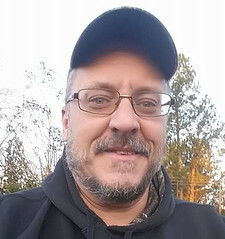 He himself went to yard sales and made purchases of items that he thought he might be able to flip by searching on resell sites like EBay for the prices of these products. Then he would make purchases and post them for sale on EBay for profit. One of his examples was a load he bought for $40 at a garage sale! It was a box full of Matchbox and Hotwheels cars. He then researched each car and the price. When he posted these cars and they sold, the profit was over $2,000 ! The Craigslist hustle is so simple I am amazed that more people don’t do it! But there are people who do the Craigslist hustle, so you need to act when you make a find ! The Craigslist Hustle is based on the super simple act of getting started with the free stuff! This is part of my hustle as well! When you open Craigslist, you search for the section on the main menu that simply says free. Once you go into that section, you can find stuff like refrigerators, washers, dryers and all sorts of other appliances that people just want to get out of their way, so they give it away for someone to pick it up. You can find these appliances and clean them up if they need it when you get home, then flip them on a platform like Facebook Marketplace for pretty nice profits! In fact I know of many examples of picking up a free washer and dryer and flipping them as a set on Marketplace for $200 in one afternoon! There are many other ways to use the Craigslist hustle besides simply using the free stuff listings! You can purchase items that are of some value and flip them on Marketplace, the local flea market, or other platforms for a profit! My goal is to only purchase items that I can flip quickly and that I can make at least 50% profit on. There are as many hustles as there are ideas by the people who want to start hustling for extra money. This is absolutely the most important aspect of having a hustle mindset! You should always grow your income and at the same time grow your investments with the income you recieve from your hustle. This is key, because the ultimate result should end with having an income stream that is as passive as possible! To have passive income is the end all be all of getting your freedom back as you also earn money! Passive income allows you to earn money 365 days a year and around the clock! By earning passive income you optimize the time versus income issue in your favor because you can earn money while you are asleep, having dinner or even while on vacation! Everything is automated and doesn’t require your full time input to earn money! When you work at a 9 to 5 you are trading hours for money. Since you only have so many hours you can invest in earning money, you’re earning potential is limited. A 40-hour average work week is the average stranglehold on your income. By having a passive income, you can change that 40 hour earning potential to a 168-hour per week earning potential because it is never off work! I choose these two ways to build a passive income because they don’t require any experience. Education, big investment or skill. 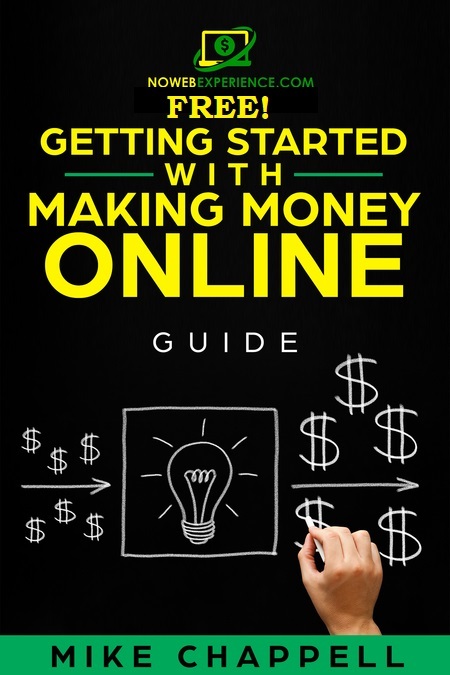 You can literally start an online passive income business with no money! You might be asking why I said to use your hustle to help finance your end goal business opportunities’ when you can start an online business for virtually no investment. Let me explain. To refer to your passive income stream as a hustle can be somewhat misleading, because it isn’t nearly as time sensitive as the hustles you will be running to earn money. The truth be that the one avenue to get started with little or no money is Affiliate marketing. Drop Shipping will require more of an investment, but still well within the reach of the average person. Affiliate marketing is simply marketing someone else’s products and receiving a percentage of the sales. You don’t have to have a product, ship a product, or process any orders. Once you have done your work up front by telling people about the product you are essentially done! You do some work on the front side and reap the benefits and income for a long time to come! My preferred way to get into affiliate marketing is with niche websites ! With niche websites you simply do product reviews and blog posts while helping people with questions or a problem the are having in that relevant niche. That review stays on the website and can earn money every time someone clicks on your post and makes a purchase. In many cases that blog post or review can make money for years or longer! You do have to input some time, effort, and patience in the beginning, but once you are done, you are really done! The task of creating blog posts isn’t difficult as you may think! After all you are not writing an essay, you are communicating with people who are in the same interests you are in! Don’t get too worried, because building a niche website is something anyone that can read and write can do with no experience! I’n fact, you can build a niche website in as little as 30 seconds! There can be some small investments in hosting, etc, but if you use the same exact free training and community platform I used to get started online, you also get all of that for free! The name of that free training platform is Wealthy Affiliate, and it is by far the best way to learn and build a passive income business online! Drop shipping is a little more involved and requires a small investment, but is a great way to earn passive income! You don’t need to process or ship orders, and you don’t have to have any products on hand. In fact, you never even see the product! It is a little like affiliate marketing with the biggest difference being that drop shipping isn’t completely passive. Let me explain. The drop shipping is pretty easy to start with a Shopify Website. You can get a Shopify account for $69 per month, and put products in your store that are supplied by a manufacturer and marketplace such as Alibaba or Ali Express. When you build your shopify store, you will pick a niche, just like what you would do with affiliate marketing because you want to niche down in order to find a more targeted market. Once you have decided on the niche or interest you want to promote items to, you can go to a website like Alibaba and search for products. Once you have found a product, you can then see what it costs. Let’s say the product you choose costs $3 on Alibaba. You can then put that product in your Shopify store for $15. When that product sales, you subtract the amount that it cost you to promote that item and the price of the item and you are left with your profit! That is very basic, but enough to give you an idea of how it works! There are many people earning money online with both of these platforms! But my chosen platform is Affiliate marketing because it is the easiest way for the average person to make money online! Once you have started seeing success with your chosen platform, you can use some of that investment money to grow and scale your business with paid advertising like Facebook Ads, YouTube ads and other avenues of advertising such as Google ads ! Once you know your R.O.I. (Return on investment) you will know how much you are earning on a small scale and can scale the size of your campaigns up to generate even more sales. A fantastic method of optimizing your online business will be through E-mail marketing! You can use some of that money that you have been making to pay for a monthly subscription to one of the autoresponder software tools such as the one I use called Aweber! There are various means to build your passive income business that sound complex, but all are explained and taught within the free Wealthy Affiliate training platform, and are very easy to learn. Part of my growth a scale is to also keep up my side hustle business! It is so simple that I can’t bring myself to give it up just yet! There is an old wall street saying that says “the best time to invest was 25 years ago, and the second best time to invest is today”. You don’t have to be great to get started, but to become great you have to start! I would recommend that you take these methods and tactics into consideration if you want a no experience, low cost method to change your life! I started my side hustle and passive income business less than two years ago! I am not wealthy yet, nor is it my goal to be wealthy. But I have seen amazing results and a lot of growth in that short time! It is exciting to say the least! My goals don’t include Lamborghini’s or mansions, but they do include freedom and getting my life back! I have a plan that in another year to take my family on a vacation to Mexico for a month and never go back to work! That is my definition of success! Yours may be different! Like we said in the beginning, goals are relative to your hopes and desires, but they will never come without action! If you need to make more money start with a side hustle to get your income to a level that helps you! But by all means you need to get involved in starting a passive income business as soon as possible! The world we live in is full of the most amazing opportunities’ mankind has ever known! The internet has changed so much for so many people that it is staggering, and will only become more and more a part of the world we live in! Take advantage of this opportunity to beat the rat race, poverty or whatever is holding you back! I hope you have enjoyed this article and have gotten some benefit from it! We have discussed what it takes to start a side hustle and a passive income business to beat the 9 to 5 and get your freedom back! It takes some time, effort and patience, but the results can be astonishing if you follow that mindset to success! Thank you for taking the time out of your busy day to read this article! I really appreciate it! If you have comments, questions or suggestions I would love to hear from you! Your feedback helps me to better serve my readers with relevant content! I would like to leave you with a question that may be very helpful to others who read this article ! What are some ideas of side hustles that you have thought of? Previous Post:Is Infinitii A Scam or Legit Way To Make $355 per day? Next Post:How To Work At Home Free Training- With No Web Experience! The hustle is real and it is real in every part of the world. How willing we are to change our current states would determine just how hard we hustle. One thing I believe is that it is not about hustling from morning till night every single day. You can be hustling but hustling in way that is not yielding any positive results. I am sure you must have heard of the saying working hard for nothing. When you hustle you should hustle well and hustle right. There are a lot of ways that one can use to hustle and you have listed some amazing ways to do it in the online world in this post. It does not matter the age one is. If you are willing to hustle right, you would get what you want. This post is sought of a motivational post and it is just what I needed to keep me motivated because the hustle is real. Thanks for sharing. Thank you very much for your comment and feedback Jay! I’m happy to see that you got some value from this article ! Very nice read. For anyone that had enough of it’s 9-5 job and want to break free of it this article can really be an eye opener. I agree that setting goals is very important but this by itself is not enough. People want money and they want them now, unfortunately there is no magic in the internet to bring that but a lot of people fall for it. Affiliate marketing is a great plan for passive income but in order to succeed you need the right tools and the right mindset. And by mindset I mean that it needs at least a year before any results can start to show. If you expect any success any time sooner then this is a plan for failure. Hard work, patience, the right mindset, goals and the right tools is what is needed. Anyone with all of these has a good foundation for financial freedom. There are many reasons to get involved with affiliate marketing, but the #1 reason for me was to be able to help other people and be able to escape the 9 to 5 ! I visited your page and I’m making a comment. It is a very good website and full of content. Everything is easy to understand. I love the way you have introduced yourself and your story is very inspiring. You have also given ways that we can pick ourselves up if we have realistic goals. Surely this is the site to visit often and take action of what’s offered. I appreciate your kind words and I’m really glad you like the content on my site! If I can ever be of assistance please let me know ! Getting started in passive income with Affiliate marketing can seem a bit overwhelming, but it really isn’t. Just let me know ! I remember having only one really good paying job in my life. It was actually a nanny job that paid me $25 dollars an hour, 50 hours a week to take care of a very bratty little kid of a very wealthy woman who had no interest in her child at all. It was a very stressful job because the child was such a bad girl and also probably felt very neglected by her own mom and was acting out. The little girl made my job a living hell. She would scream, throw things, break things and her mother would not even bat an eye. I had to constantly distract her with projects and playtime but at the end of the day I was sooo exhausted. I only had Sundays off and on that day I slept the entire day because I was just physically and mentally exhausted. But that was several years ago when I didn’t have children of my own. Now I am a mother of a two year old boy who I couldn’t even dream of leaving to take care of another persons child. No way. How could I do that? Even if it paid me like before I need my time with my son. But I agree with you, things like a Lamborghini do not thrill me. If I happen to won a Lamborghini in a contest I would sell the car and use the profit to buy my son some new clothes or something that we actually need. I agree, putting food on the table and having a roof over our head is what is most important to me. Right now the only means of survival I have is Welfare. I know you said your mom never relied on public assistance but I do. It is only $500 a month for food, diapers, clothing and anything else I need. It is so incredibly hard to survive off this as a mother to a little boy who constantly grows. But you surely know what it feels to be a single mother since you are the son of a single mother and experienced hardships like I do. I can’t imagine how hard it would be trying to feed two little mouths instead of one. But my love for my son keeps me hustling and grinding to be able to show him the kind of childhood I feel he deserves. I like how you say to make your goals a little daunting and scary because you need to know your truth worth. As a person who is currently poor, I know that I will truly feel grateful and appreciate when I do get my monthly check of thousands of dollars. I keep visualizing it and knowing it will come. Only thanks to Wealthy Affiliate do I have this opportunity to build the type of life for myself that I have been dreaming of. Sophia, people like us are referred to as survivors! When you start with nothing, all you have is drive and motivation because failure isn’t an option! I am very proud of where I got over 30 years of hard work! I own my own small business and am very blessed! But the results that are building from my online business in affiliate marketing have made me very passionate about earning money while also helping other people ! Keep up the good work and you will get the results you want! I see where you have joined wealthy Affiliate ! That is a great decision! You have every tool , training and support that you will ever need for success! If you ever need any help let me know! I will be glad to help in any way I can! 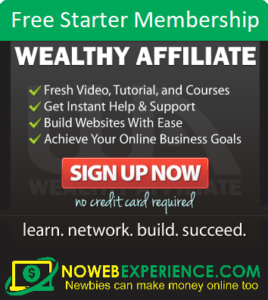 My username at Wealthy Affiliate is MikeC69. Look me up. Very extensive and thorough article you’ve written here Mike. I can somehow relate with your struggles growing up. I myself came a modest background. I came from the Philippines, which is a third world country, with majority of its people living in poverty. I guess I can’t really say that we were poverty stricken ourselves as we did manage to eat three meals a day when I was growing up, but still the struggle was hard. My mother also hustled and grind just to get us through university even taking on boatloads of debt. In return, after we graduated, we the children, then have to hustle and grind as well now this time to help pay off the debts of our mother. This vicious cycle is pretty common back home. This is also why many Filipinos look to go abroad and leave their families and loved ones behind, in order to just get ahead otherwise the cycle will just repeat itself from one generation to the next. In some ways that was also the story of my life. I decided to leave my home country in order to get ahead and be able to help my family back home at the same time. But that is to realize that the struggle is harder and the sacrifices are a lot painful. But that story is for some other time. I do like your point that we do have to hustle and grind in order to get out of the rat race. I do agree with you that there are plenty of opportunities available for anyone willing to really take them seriously and work their a** off. It’s not easy but it is possible. Like you said we just need to start and just keep pressing on and never give up. Thanks for this very thorough and heart-warming blog. I can very much relate and appreciate how you’re raising awareness and educating people. Keep it up! Kudos! I have a V.A. from the Philippines that helps me with some of my tasks. Very nice people and I’ve had nothing but the greatest results and have even made some friends ! Thanks for sharing Hustle and Grind Your Way To Financial Freedom At Any Age. You’re absolutely correct sir. Anyone can earn a living Online. It doesn’t matter the age. All that matters is the strong desire and determination for this Financial freedom and then the proper training to get started. Age is not a limit in any way and I don’t think time should be a problem as few hours a day to get started is enough. I appreciate your feedback sir! Hello Mike. This article is so comprehensive, thanks. I have seen both the small and the big breaking Business grounds Online and they’re doing awesome. That was my inspiration. Being financially free is having multiple streams of passive income. I know it takes time. But with time success will smile at us 🙂 Profits Online are brain Busters. Go for it. If you ever have any questions, or comments please let me know! I will be glad to help in any way I can!